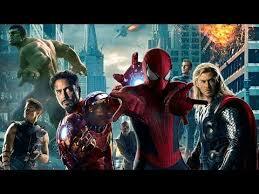 Spiderman is Officially Part of the Marvel Universe! I know you’ve been seeing it all week but I feel the need to recapture this moment because I was right! Sony and Marvel have come to an agreement that will allow Spiderman to shift into the Marvel Cinematic Universe and fight alongside the Avengers, hopefully with major sass along the way. However, this means we lose the sassy and awkward portrayal that Andrew Garfield brought to the character. Some people really want the reboot to be based on the Miles Morales storyline, but we’re pretty sure Marvel is going to give us a really great Peter Parker. Rumor has it Dylan O’Brien and Logan Lerman are up for the part. I can support the replacement of Andrew with one of those two witty heartthrobs. Let’s be honest here, we’re just excited to see Spidey on screen with Iron Man. The Maine have been force-feeding us everything American Candy lately, and with good reason. Their new single “English Girls” is a brilliant combination of all their previous efforts, and has been stuck in my head for days. As the band goes on their eighth year of being giant goofballs who just seem to fall more in love with what they do everyday, “English Girls” seems like a good segway into what’s to be expected from the album. Compared to previous releases from The Maine, this one already seems like a lot more lighthearted fun, but with the same musical concepts they’ve begun to master. It has all the feels we missed from days of matching outfits and THE NEON, but it works. We can safely assume bright matching purple shirts will be part of their tour attire. I will make it happen. You can pre-order American Candy which is out March 31st, and watch the lyric video of “English Girls” below. 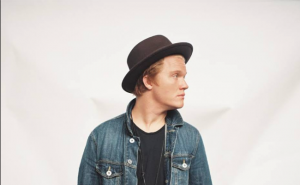 In an interview with BadChristian podcast, Aaron Gillespie revealed that he would do an Underoath reunion. He actually said “I would 100 percent do it. 100 percent.” My happy tears are forming and it’s really ugly, but completely called for. 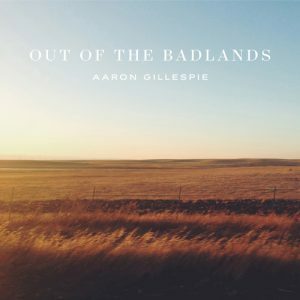 Gillespie left Underoath in April of 2010, and has been working on solo projects like The Almost since. 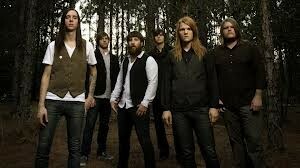 Underoath themselves have suffered a bit more, disbanding completely back in 2013. So is this Aaron’s bat signal? 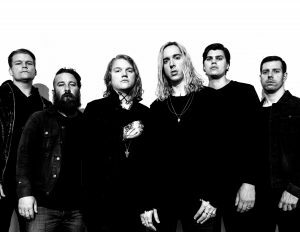 Can Underoath rise up to the occasion and be the heroes we need? Only time will tell. 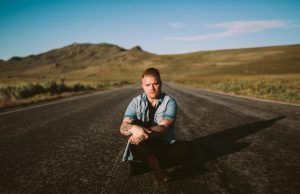 Until then check out Aaron’s newest gospel album release, and support Underoath in funding their final farewell, Tired Violence to their fans. Our favorite female twins Tegan and Sara are set to perform at the Oscar’s this year. Their collab with The Lonely Island for The Lego Movie, “Everything Is Awesome” is nominated for Best Original Song, and we get to watch them perform it at The Oscars. I’ve never wanted to watch that awards show until now. “Everything Is Awesome” is the most amazingly annoying, yet perfectly uplifting, song to ever exist, and I cannot wait to see it live, especially at such a classy event. With over 500,000 sales of the song, it’s only fair that everyone understands just how cool being part of a team is. If you want to have all the laughs at The Oscars this year tune into ABC at 5:30 pm PST on February 22nd. It’s going to be–you guessed it–awesome. 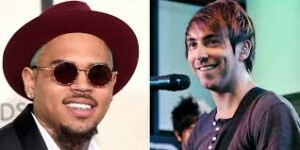 As many of you have already seen, Alex Gaskarth called out The Grammys and Chris Brown on Twitter. After which, it became an internet tabloid media blast that had some odd numbers of my family calling me to tell me “that guy in all your pictures is on E!” My college degree in English obviously has them thinking I can’t read. However, to me, this is a perfect time to bring up how proud I am to be a part of a scene where the men really do stand up for the women. Not everyone is perfect in our scene, but this “Twitter drama” reminded me how lucky we are as females to be a part of it. We have such inspiring guy role models who are rooting for us as much as we are them. What Alex said wasn’t to bring attention to himself, but to the situation that a lot of us, especially as women who love music, needed to see recognized. It’s a very rare thing to have men standing up for women in all aspects of their lives, but we have seen happen countless times at shows, at festivals, and on the Internet. I think we should give all the good gents who have wrestled security, called out jerks in the crowd, kicked guys out for being overly inappropriate towards young girls, stood up against other musicians, and just being all around good dudes a round of applause. R-E-S-P-E-C-T, it actually means something in this scene! This week was filled with good news, do gooders, and hopeless dreams. Does “Everything Is Awesome” make you want to dance, drive off a cliff, or throw a stereo out a window? Do you also miss the neon phase and matching outfits of The Maine’s early days? Who would you like to see play Spidey?! Let us know, and since we broke with all the happy times, we want to know what you need to send out a bat signal for this upcoming week!